Growing up, Fredrik Modin didn't have the opportunity to watch the NHL, live or on television, but it never stopped the Swedish native of dreaming what it would be like to play at the sport's highest level. Born in Sundsvall Sweden, a city of 50,000 inhabitants, that is also the home of fellow NHLPA member Henrik Zetterberg, Modin, like most kids his age, spent countless hours playing hockey, indoors and out. Modin was selected 64th overall by the Toronto Maple Leafs in the 1994 NHL Entry Draft, a player who was coveted for his size, strength and skill. He made his NHL debut in 1996-97, recording 13 points in 76 games in his rookie season. Modin netted 16 goals in each of his next two seasons, before he was traded to the Tampa Bay Lightning on October 1, 1999, the place where he would win a Stanley Cup five years later. On June 30, 2006, Modin was traded to the Columbus Blue Jackets along with Fredrik Norrena for Marc Denis. He served as an alternate captain with the Blue Jackets, lighting the lamp 22 times in 2006-07. 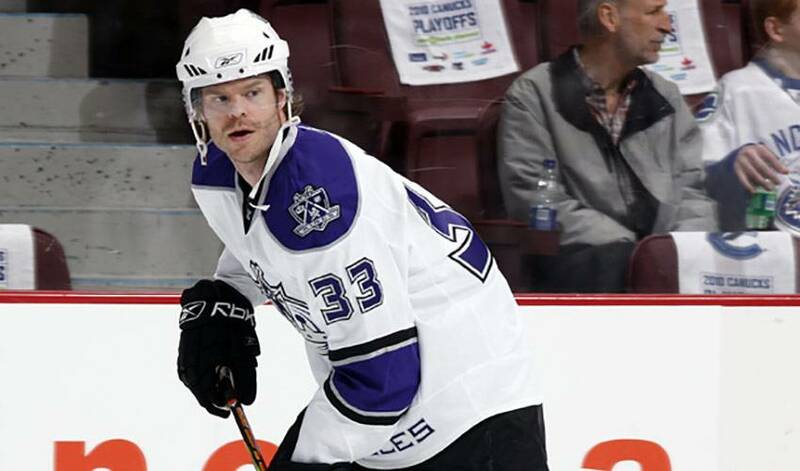 Modin, who was dealt to the Los Angeles Kings for future considerations on March 3, 2010, recently signed a one-year contract with the Atlanta Thrashers on September 6. Along the way, he's played in the NHL All-Star Game in 2001, won a bronze medal at the World Championship in 2001, won a gold medal at the 2006 Winter Olympics, and in the process became a member of the Triple Gold Club having won the 1998 World Championships, the 2004 Stanley Cup and Olympic Gold Medal in 2006. Though he's been the beneficiary of great advice at every stop on his NHL career, Modin doesn't recall any one conversation in particular. “I've been very lucky to have great teammates throughout my career, but it's tough to grab on to one thing that stands out,” said Modin, who holds the 2004 World Cup of Hockey record for most points with eight. Now, some nearly 900 games into his NHL life, Modin has become a respected leader, a player looked up to for his work ethic and on and off ice contributions. “Time really does fly by,” he admitted. “I remember my first year in Toronto and it doesn't seem so long ago. And here I am. I'm happy. But it's hard to describe how I see leadership. All I'm trying to do is help the young guys. I want to be their friend and make them feel comfortable if they need any advice. Modin will look to do the same for his new teammates in his first campaign with the Thrashers, under the direction of a familiar face. “Craig Ramsay was the assistant coach when I was in Tampa, so it will be nice to play for him,” said Modin, of the former NHL forward, who now handles head coaching duties in Atlanta. “I really am excited about this Fresh off a trip to New York to watch U.S. Open tennis, including a match between fellow Swede Robin Soderling and Swiss legend Roger Federer, Modin is hoping to net some more post-season games to his name.